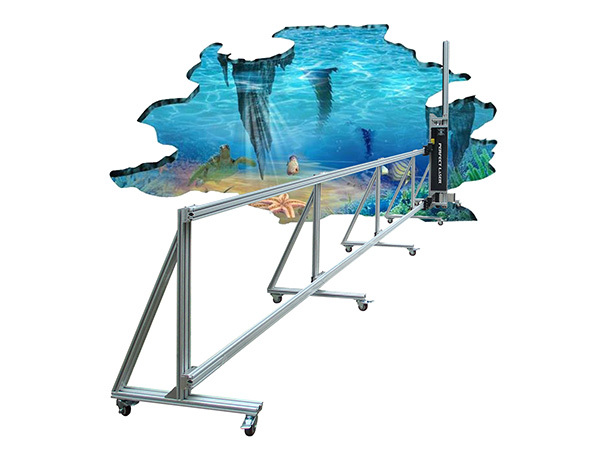 Perfect Laser is a professional manufacturer of high quality direct to wall printer. Professional management team and advanced production technology is our guarantee of quality products. Perfect Laser recently launched this vertical cable HD version of the inkjet wall printer. 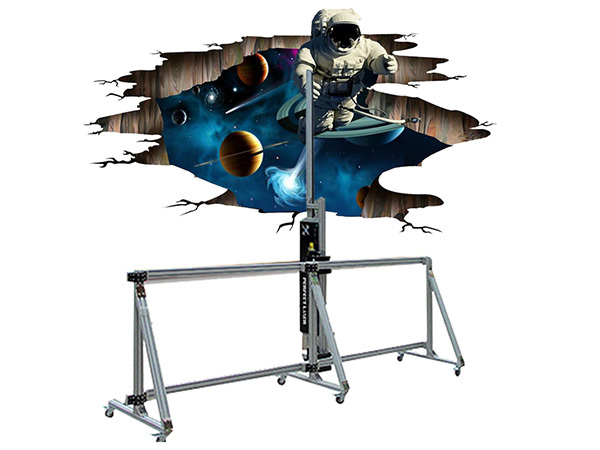 To meet the various demands for large format painting in the advertising and other industries, the direct to wall printer can print on wall directly. Just put the picture in the computer, you will get satisfied home decoration or street decoration photo without a professional printing team. 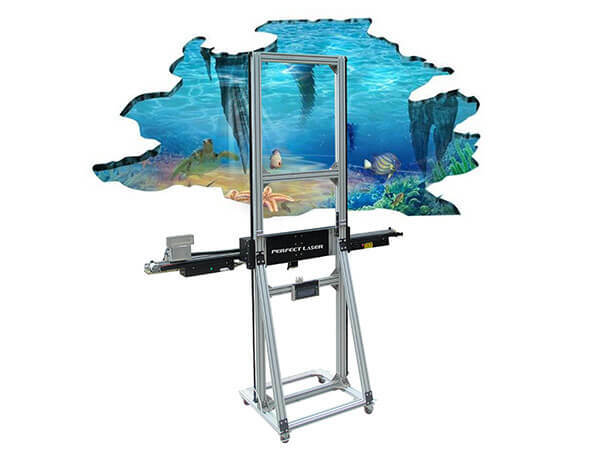 This direct to wall printer is with higher precision and faster speed, present perfect quality of painting for you. 1. Machine material quality: The inkjet wall printer body is assembled from aluminum-magnesium alloy with high precision. The vertical printer chassis is light and easy to carry but the material is excellent and durable. All parts are manufactured by professional mold manufacturing process and CNC equipment, and the direct to wall printer consistency and stability of the whole machine and accessories are guaranteed. 2. The inkjet wall printer spray painting surface is clear and bright, full of color and exquisite. 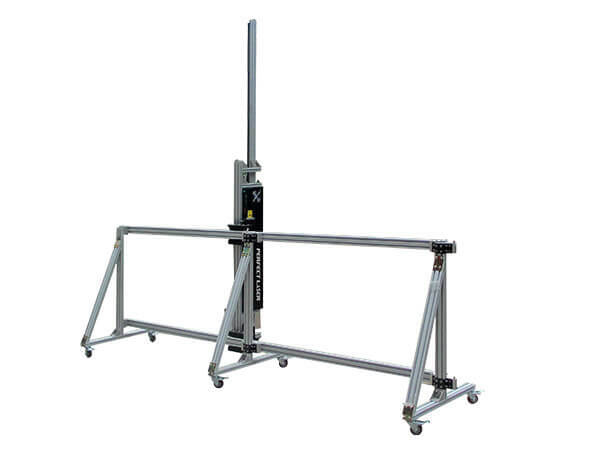 And the printing height can reach 2000mm, the width is not limited, no need to move the machine halfway. To meet the majority of customers on the requirements of large-format painting. 3. The direct to wall printer use Japanese nozzles, equipped with high-definition piezoelectric ink jet technology, higher accuracy and durability. The data signal of the sprinkler adopts the integrated optical fiber output, which has strong anti-interference, high reliability, more stable transmission data and faster speed. 4. Configure the United States import sensing system, automatic positioning, surface tracking, dual sensors, two-way up and down induction. Can also automatically solve the wall tilt, wall inequality issues, can effectively reduce the risk of damage to the nose. 5. The inkjet wall printer's ink is made of high-quality imported color paste, which is colorful, three-dimensional, scrub-resistant, non-fading, and green. And the direct to wall printer can work normally in the environment of -10°C to 60°C, and the ink does not freeze. 6. Configure the automatic compensation system. During the construction process, the inkjet wall printer is inevitable that unexpected situations such as power outages will cause the machine to be interrupted, and the built-in automatic compensation system can reduce the scrapping rate of paintings and save costs to a certain extent. 7. The direct to wall printer head adopts a separate structure and integrated design. Can reduce the damage caused by handling bumps. In addition, an all-enveloping nozzle mounting plate is used to effectively extend the actual service life of the inkjet wall printer's nozzle. This direct to wall printer is suitable for a variety of special materials: painted inside and outside wall, wall putty, paint the walls, white porcelain, ceramic tile, walls, glass, paper, canvas, wall, colored glaze, shell powder, wall paint color tablets. Note: the above technical parameters shall be the design parameters. If there is any difference, the actual use efficiency of the equipment shall prevail.